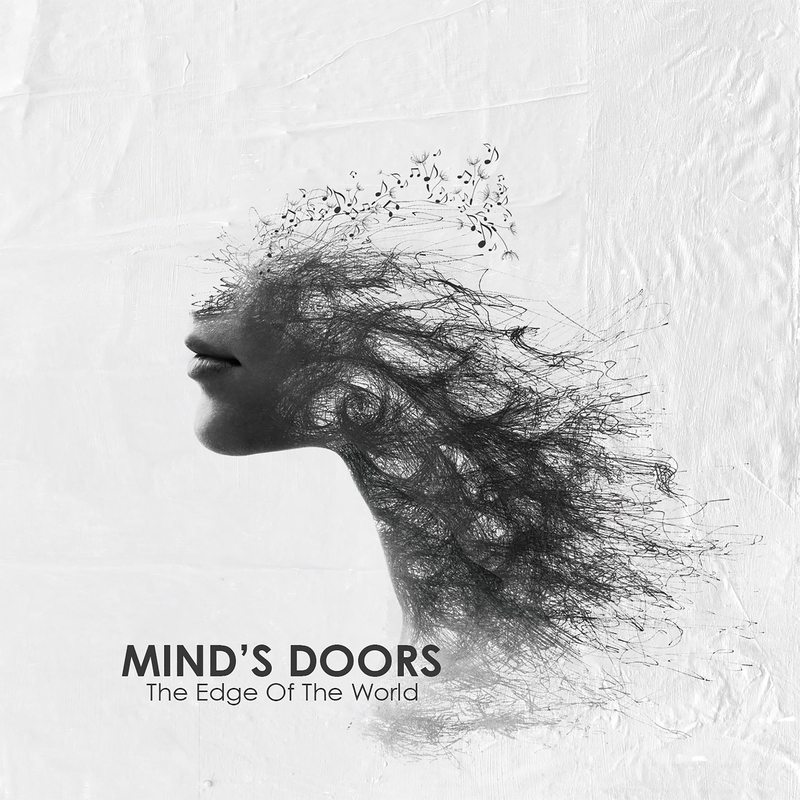 The Edge of the World is an engaging, emotional ride of clean vocal progressive music that puts the focus on what many of its kin seem to push aside: the song itself and getting lost in the music. We live in an age where the focus of conceptual prog undoubtedly leans towards many ancillary facets; the holistic image of the package itself, the influence of collaborators vying to express themselves, and often as a showcase for technical divulgences. The greatest compliment I can pay The Edge of the World is that, despite this, Mind’s Doors squarely – and thoughtfully – returns that focus to where it matters most: the song. That is to say, while there are a handful of surprising moments and flashes of technical brilliance, there is, more importantly, an intimate understanding here of how to craft music for music’s sake. This is a wonderfully fresh and engaging record that doesn’t lean on traditional tropes, while also not avoiding them wholesale. Two aspects of this approach that Mind’s Doors succeed at where many often fumble, are in the supplementation within the layering of instruments and the transitions between movements. I’m sure you’ve heard your fair share of proggy songs where there is a pretty cool riff, some impressive drums, and either toe curling heavy growls or soaring vocals, yet despite each element being something to appreciate, you had some difficulties getting emotionally invested in the track. Part of this is likely due to pacing, with a more salient focus on immediate or continuous gratification and where the macro level structure of the song isn’t conducive to such a flow. More important though, is in how the individual elements of the song compliment each other at each turn. The Edge of the World implements these effortlessly. Let’s take the track “The Hollow” as an example. The overarching structure follows a relatively quiet intro, some entertaining riffing that picks up a bit, eventually leading to a crescendo of aggressive stylings. It accomplishes this with variances in vocal tone (emotive to raspy growls), speed of instrumentation (relaxed to bursts of playing), and scale choices (major to minor). One benefit of this approach is that it allows the aggressive portions to feel much more earned and evocative. Through the use of punctuated phrasing in both the vocals and piano, a gradual increase in percussion complexity and guitar work, and interweaving overlaps in notation between the supporting instruments, this complementary – or supplementary – balance is struck that makes the individual segment as engaging as the eventual payoff. The other, less noticeable, strength lies in the transitions from one moment of the music to the next. This is something I might not have noticed as much if I hadn’t just come off the Fractal Cypher review. In there I noted how, while there are interesting segments and ideas present throughout, the lack of cohesion between these made the listening experience disjointed. While perhaps not as adventurous – a swinging bassline in the title track and an extended atmospheric intro in “Victoria” being the more notable examples – Mind’s Doors deftly flow between varied tempos and tones as if it were the only natural course for the song. Much of this comes from the patience they take to move from one to the next, but there are likely a number of other structural, key, and scale contributions that a music major might have an easier time explaining than I could. Even without such a degree, shifts such as the prelude to the second half of the title track can be enjoyed by anyone. When these two elements are in full force, the music becomes something very easy to get lost in. Even if there are less wow moments (and there are still a few here), it makes it so that you want to continue listening to the track until the very end. Moreover, once it ends, you want to return right back to it. A few random thoughts before I wrap this up: I found that the at times awkward phrasing of the clearly not native English vocalist gave the quieter tones more personality, and the emotional rasp in some of the songs may just be the highlights of the record. I was a bit disappointed when the really interesting ambient intro to “Victoria” turned into a by the numbers ballad. The second half of “The Light” is some of the strongest prog I’ve heard all year – it’s emotive in ways many bands don’t quite reach. I was a bit turned off from the more industrial tone of the verse in “Sweet Dreams”, but the well paced chorus and that mean sounding keyboard in the middle more than made up for it. While what I usually return to music for when not using shuffle are the individual moments of a song, that one part that you just can’t get out of your head, I found myself returning to The Edge of the World for the overall atmosphere and tone. All the strengths I mentioned earlier coalesce into these extended bouts of music that are hard not to get invested in. By the time you finish the second half of the final track on the record, you immediately want to return to an earlier song so as to not lose that feeling. This may not be hard to come by in genres such as post rock or doom, but for clean, more traditional prog, this is a real rarity. Don’t sleep on this if you like getting lost in your prog. It might not be a surprise addition to your AOTY list, but it’s something you shouldn’t miss. Previous PostBeaten To Death Give Listeners a Pleasant Serenading with "Catch Twentyfvck"